Jeremy Corbyn’s continued leadership of the Labour party has been contrary to the publicly stated expectations of many pundits and political scientists. This punditry has underpinned coverage of Corbyn and his Labour party that continually plays out in print, broadcast and social media. My claim is that the manner in which Corbyn and his supporters were discussed by prominent political scientists and pundits was reflective of a dismissive underlying attitude towards the political dynamics that his candidacy and subsequent leadership represent. In this paper, I do three things. First, I identify a group of intensely politically involved individuals who collectively hold the power to shape shared political meanings and understandings and locate some British political scientists within it. Second, I outline five points of opposition that this group had to Corbyn, demonstrating that although these maintain an appearance of objectivity, they are nonetheless normative in nature and largely conform to a dominant ideological standpoint seemingly shared among the group. 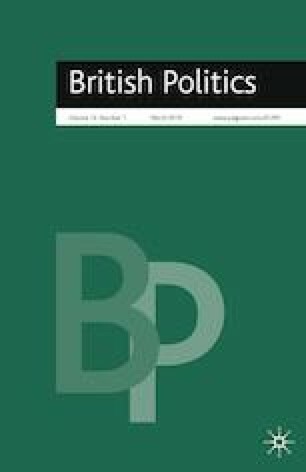 Third, I reflect on the role of British political science in this context, raising concerns that our inculcation into this group might be affecting our academic endeavours as well as how we present ourselves and our work to the wider public. Thanks are offered to Nick Clarke, Jonathan Dean and David S. Moon for providing written comments on earlier drafts of this paper. Thanks are also due to audiences at the University of Bath, University of Leeds, the John W Kluge Center at the Library of Congress, and the 2018 American Political Science Association Annual Meeting for comments on various presented versions of these ideas. Cammaerts, B., B. DeCillia, J. Viera Magalhães, and C. Jimenez-Martínez. 2016. Journalistic representations of Jeremy Corbyn in the British Press: from “watchdog” to “attack dog”. http://www.lse.ac.uk/media-and-communications/assets/documents/research/projects/corbyn/Cobyn-Report.pdf. Dean, J. 2016. Do Academics Have a Corbyn Problem? https://www.psa.ac.uk/insight-plus/blog/do-academics-have-corbyn-problem [last accessed 02-06-2018]. Dean, J. 2017. On Corbyn, Book-Eating and the Future of UK Political Science. https://www.psa.ac.uk/insight-plus/blog/corbyn-book-eating-and-future-uk-political-science [last accessed 02-06-2018].